Pakistan is unique country rich in its cultural and archaeological heritage. A heritage that has many dimensions. All over the country, one comes across relics, ruins and remains of some of the greatest civilizations and religions that once thronged this part of the world. The foot prints of the marching armies of the Alexander the Great, who marched into this part of the world around 326 BC can be seen here. It was here that civilizations as great as the Mehrgarh, the Indus Valley and Harappa thrived. Besides the civilizations, the Buddhist religion took its roots from here. Areas around Taxila and Swat are testimony to this fact and these areas abound in the Gandhara Art. One of the surviving masterpiece of Gandhara Art is the statue of the Fasting Buddha, preserved in the Lahore Museum. 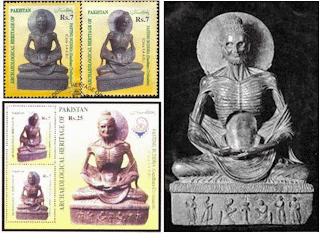 Pakistan Post while celebrating the Archeological Heritage of Pakistan, issued two stamps on 21st July 1999, which displays the famous statue of Fasting Buddha. Priced 7 rupees each , both stamps show two angles of this unique and one of the rare artifacts of the archeological finds of the world. 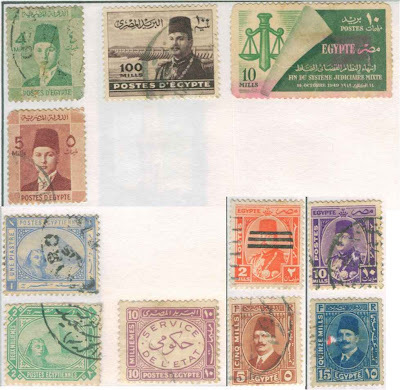 You 'match and mix' of stamps and images makes the stamp articles interesting even for those who are not collectors. I am following this very closely.